By the late 1950s, the success of foreign compact cars (most notably the VW Beetle) could no longer be ignored. GM bigwig Ed Cole demanded that Chevy field a response but was perhaps a bit slavish in his requirement that it also follow the rear engine air-cooled architecture of the Beetle. In terms of weight distribution, cooling and noise, it was far from ideal. The front-engine/front wheel-drive Austin Mini was the future, the Beetle was pre-war technology with a limited shelf-life. Nonetheless, the 1960 Corvair did have its share of redeeming features. Styling was clean and attractive, because there was no drive shaft hump or transmission tunnel, interiors were quite roomy. Sedan, convertible, coupe, wagon and even a van were available. 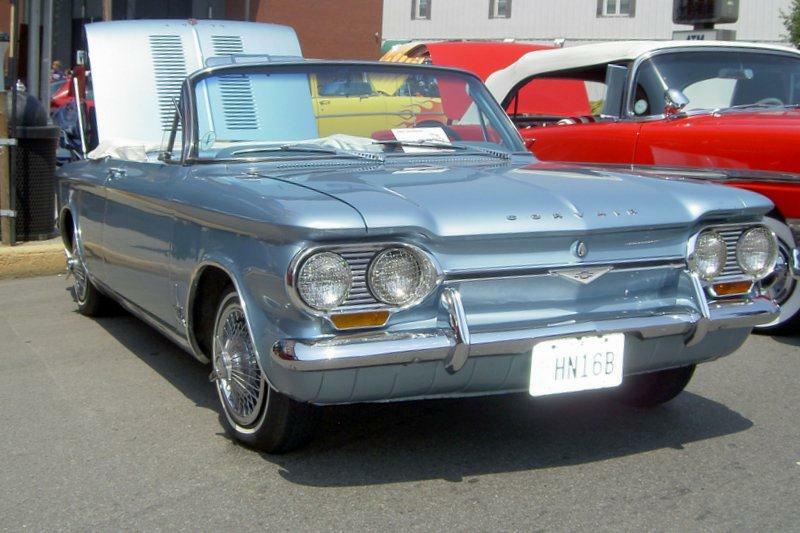 The Corvair also pioneered exhaust gas-driven turbocharging. Ralph Nader looking to make a name for himself latched on to the swing-axle rear suspension, deeming it unsafe and the Corvair never recovered.